Whilst there are no specific hard-and-fast rules, the biggest thing to consider when it comes to answering this question is where exactly you want to use your video content. Using the exact same video across all platforms including Instagram, Facebook, Twitter etc. as well as on your website may seem like a great way to save time and money, however, there’s a bit of a knack to using the correct content in the correct places. When it comes down to it, it’s all about grabbing (and keeping!) the attention of the viewer. Depending on the platform, there are a couple of basic ideals to follow but a general rule of thumb is always “the shorter, the better”. This doesn’t mean chopping out vital information in order to make your video as short as possible, but it does mean making sure your video is straight to the point and not full of too much waffle. I mean, these waffles are okay I guess. For Instagram, 30 seconds is ideal. The average length of well performing Instagram videos is 26 seconds, and as the maximum length a video on Instagram can be is 60 seconds you’re best keeping your content short & sweet to really hold the attention of your audience on there. 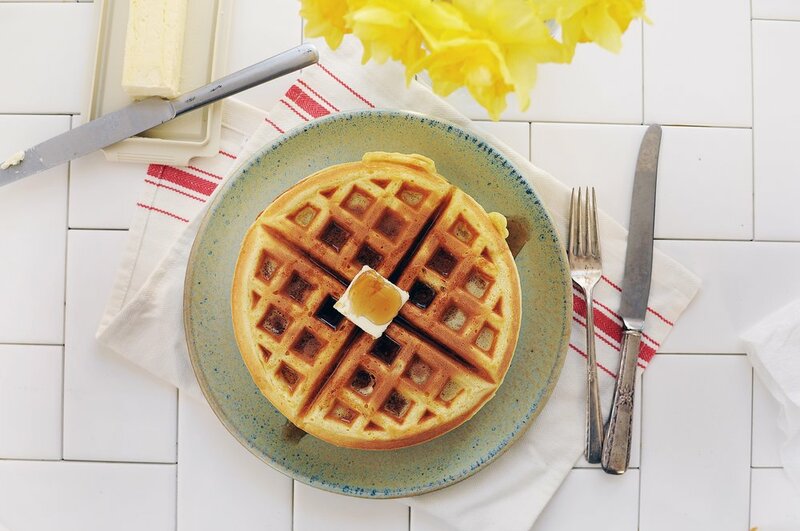 Instagram is a great way to whet the appetite of your audience (sorry, i’m just thinking about waffles now), and a super snappy video that sparks their interest and potentially directs traffic to your website (where you can embed a longer version) is a great way to utilise your Instagram presence. When your ex changes their password again. For Facebook videos you can afford to go a little longer, but still keeping them within 1 -2 minutes is ideal. On Facebook you want to encourage shares and tags, so the shorter the video the more likely it is that people will engage with it before scrolling past. If your video is too long - or takes too long to get to the point - you’re going to lose the interest of the viewer. Facebook is another great place to divert traffic to your website, and again an easily digestible video is a great way to encourage users to seek out more information about you. Erm, I literally can’t think of anything funny to say about this… Sorry. A video that is going to be embedded on your website can be longer still, but that doesn’t mean we should be aiming for an hour-long epic here. There is a time and a place for super long videos, but you aren’t necessarily going to trick visitors to your website into sticking around by shoving a 20 minute long video on your homepage. Different videos need different amounts of time, but generally keeping mini-docs and website explainer videos between 2-4 minutes long is the sweet spot. If you’ve used shorter versions of the video to lure - ahem - I mean, direct viewers to your website then you can assume they’re already primed for more information. Therefore, you can go slightly longer with embedded website videos than you can with videos created for social media. However, still keep them concise and to the point/s.